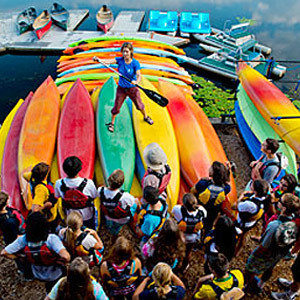 Kids love paddling and we have the programs, and equipment to get them out there! Scroll down for more information. Summer Programs: Learn Skills and Visit Amazing Places. Birthday Parties: A Party They'll Never Forget! Teen Adventure Program: Three-Days of Excitement & Camaraderie. 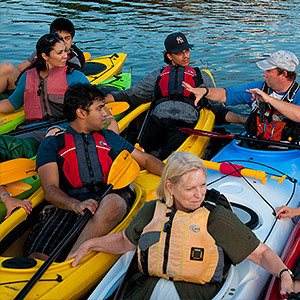 Kids' Groups: Fun on the Water — Customized for You. Kids' Paddling Gear: We Know the Gear that Works. 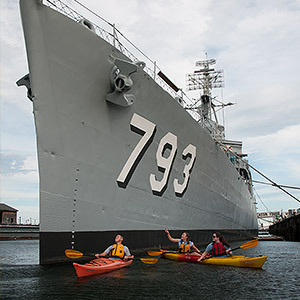 Grades 6-8: Let your child explore the beautiful Massachusetts Coast in kayaks and on stand-up paddleboards! This three-day program will take kids entering grades 6–8 to places they've never seen before, but that they will want to visit again and again. 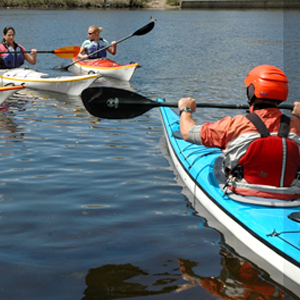 Learn sea kayaking and stand-up paddleboarding. 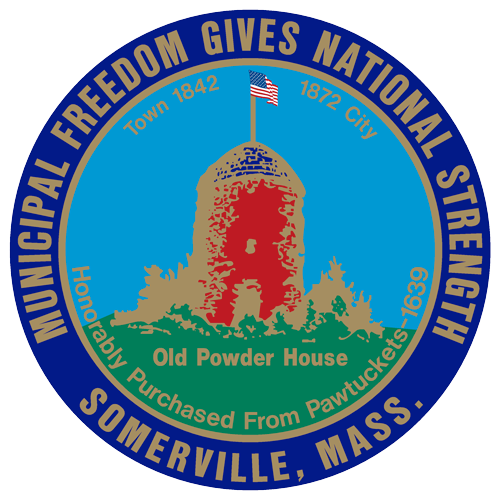 See places like Marblehead, Gloucester, and Cohasset. Plenty of opportunity to play, swim, and explore a variety of environments. Travels by van from our Waltham Paddle Shop. Kayak Class from Interlock Media. 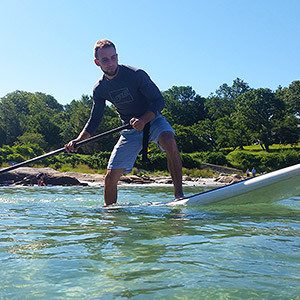 Ages 13-16: Get your teenager outside this summer for three days of fun along the Massachusetts coast in kayaks and stand-up paddleboards. See some of the most beautiful paddling spots in Massachusetts. Plenty of opportunity to build skills, swim, and explore a variety of environments. Based in Kendall Square, Cambridge. Get on the water with your kids! 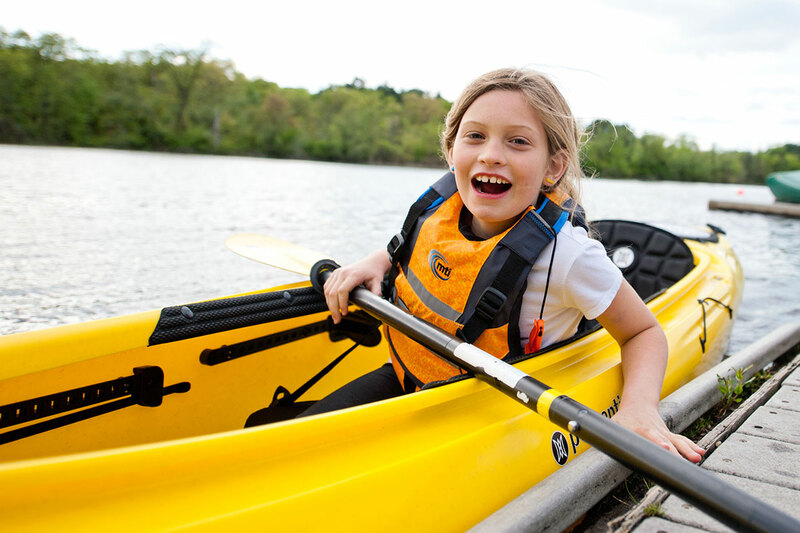 Young children love riding in canoes and double kayaks with their parents, and once they reach age 6–8 they may want to try their own kids' kayak! Four Rental Locations, all great for kids. Many Boat Options including canoes, double kayaks, and kids' kayaks. Reasonable Rental Rates perfect for the whole family. Paddling is a wonderful group activity that kids love! Our group outings are customized just for your group. Perfect for schools, camps, birthday parties, and more. Delivery to Anywhere for any group size. Ten-Person Canoes great for kids' groups. 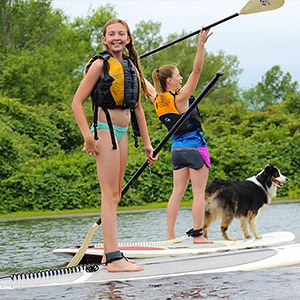 Our Paddling Store in Waltham can provide the gear you need to enjoy paddlesports with your kids, and we have the knowledge and experience of paddling with kids for decades. Kids' kayaks and kids' stand-up paddleboards. 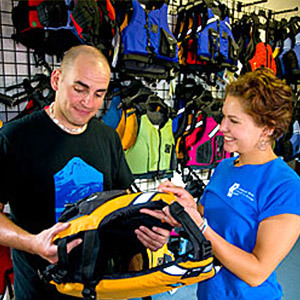 Life jackets, paddles, wetsuits, and more.